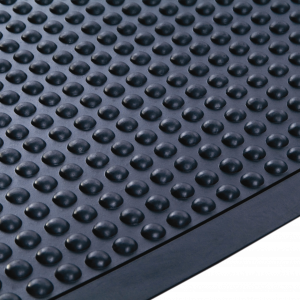 Our industrial slip resistant anti-fatigue open top rubber mats are ideal workstation mats. 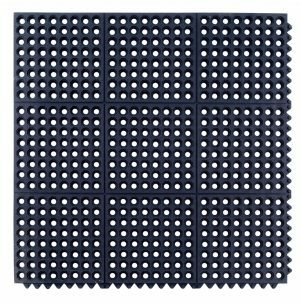 They clip together easily to fit the area required and are suitable in front of machines in factories and in areas that are subject to oil and debris. 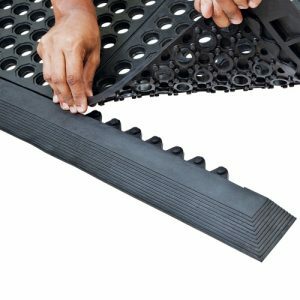 They are extremely heavy duty, oil resistant and have holes for fluids and debris to fall through for easy cleaning. 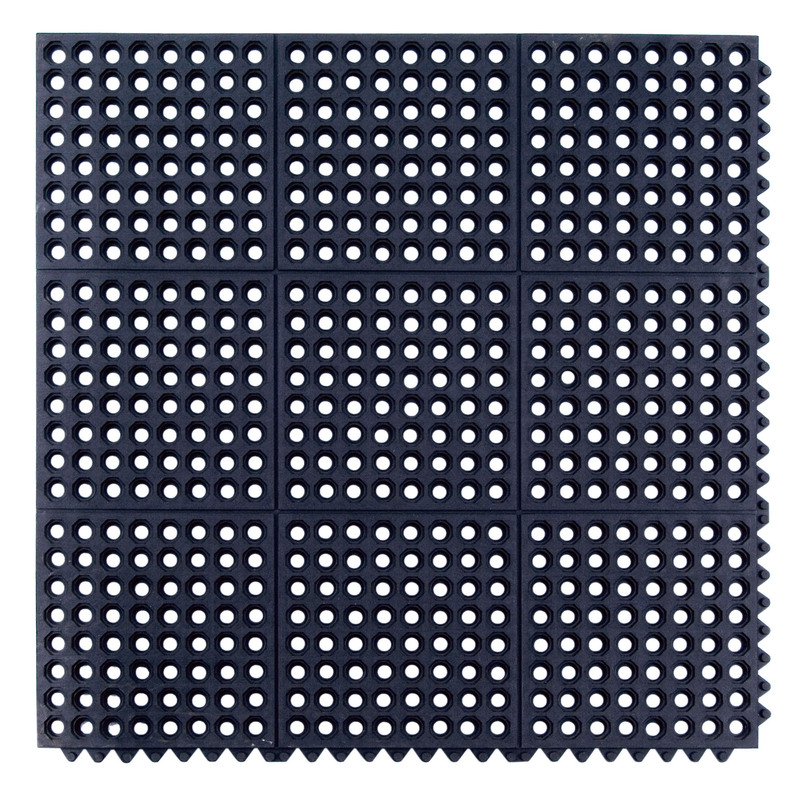 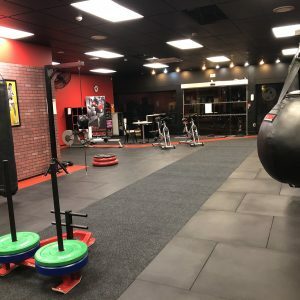 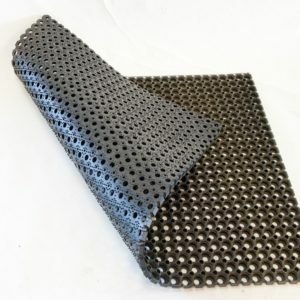 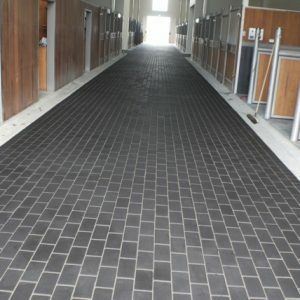 These heavy duty natural rubber mats are perfect for commercial and industrial areas. 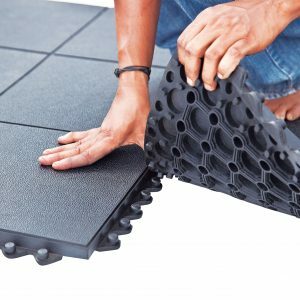 They provide excellent anti fatigue properties for workers to help protect them from leg and back fatigue. 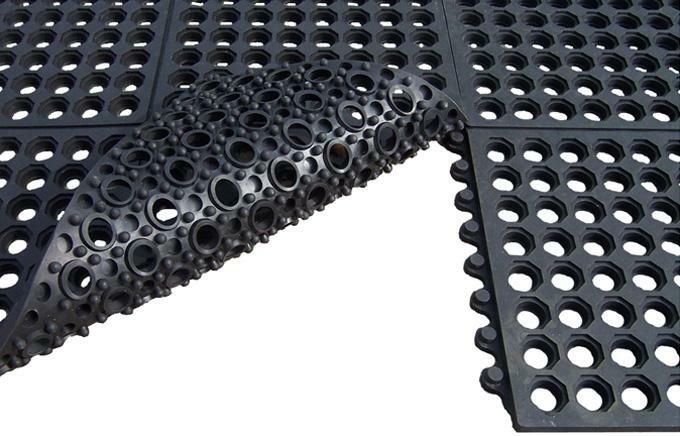 Large holes let liquids and debris to fall through and allows for easy cleaning. 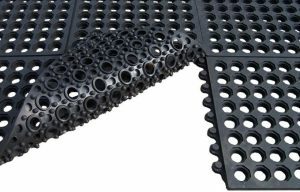 These mat are interlocking to provide a flexible option to suit your environment and fit the area required, measuring 900 x 900 x 12mm. 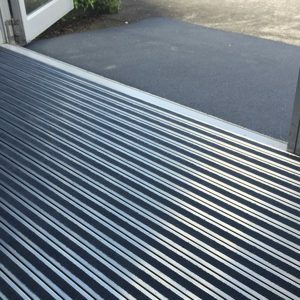 They allow for ramped edging to be added to any or all sides to protect workers from any trip hazard which makes trolley access easy. If you need ramped edging please call our sales team on 0800 80 85 70 to discuss your requirements.